Carbon-neutral travel company the Intrepid Group is celebrating record growth, with revenue up by 17% to $350M in 2017, the UN's Year of Sustainable Tourism Development. It's the second year of record growth for multi-brand Intrepid Group and comes two and a half years after the travel company split from TUI Plc to become an independently-owned company with a 'purpose beyond profit'. 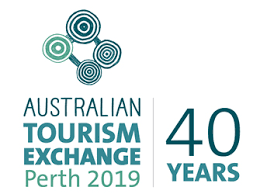 Intrepid Group CEO James Thornton says that the Australian-owned business is seeing an increasing global demand for sustainable and immersive tourism experiences, with growth across all brands and regions that the company operates resulting in record profitability for the year. The Melbourne-based Intrepid Group employs 1800 staff in 30 offices, is now the world's largest provider of adventure travel experiences, operating through tour operator brands Adventure Tours Australia, Geckos Adventures, Intrepid Travel, Peregrine Adventures and Urban Adventures. In August, the Intrepid Group announced that it was investing in Chimu Adventures, taking a 50% stake in the company, with Polar charters a key priority for the partnership. The deal which will make Chimu and Intrepid Group the largest seller of Antarctica trips in Australia and one of the largest globally, was funded through Intrepid's cash reserves. The year also saw Intrepid Group's launch its first season of Adventure Cruising, with 94% trip fill on charters giving the company confidence to expand the range in 2018; the opening of new destination management companies in Japan and Central America; day tour company Urban Adventures almost double its passenger numbers; as well as record levels of customer enjoyment. According to Thornton, the results support that Growth and Purpose, the two goals in Intrepid's 2020 business strategy are indelibly linked. 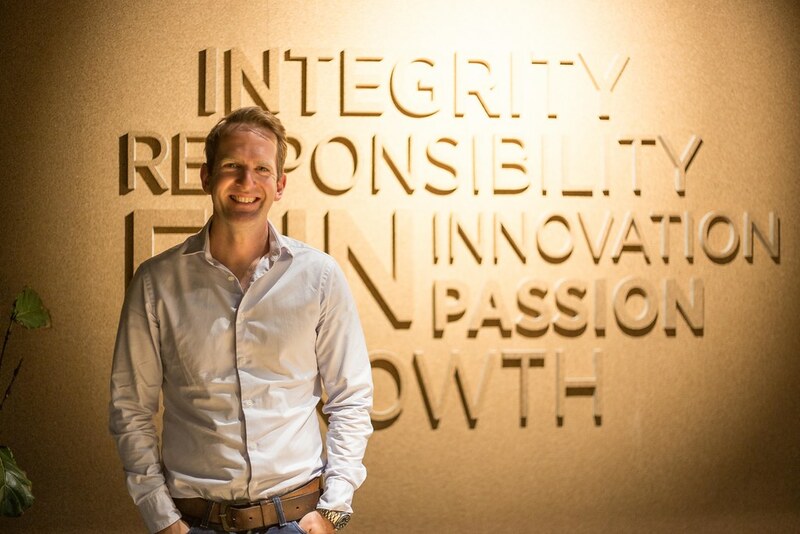 "It's become increasingly evident to us that having a Purpose Beyond Profit can actually be profitable" says Thornton, who was appointed as CEO of the Group, as well as Chair of The Intrepid Foundation in 2017. "Growth is nice on its own, but it's this sense of Purpose that has us excited about the future because it means the more we grow, the more we can do". The Intrepid Foundation, the Intrepid Group's not-for-profit also marked a record year in 2017, raising $1M for local and international charities. "The travel industry continues to be impacted by the social and environmental events that face our world today. While the Year of Sustainable Tourism might be officially over, it's in all our best interests that conscious travel companies do more to give back to the places and people they visit. The good news is, that it's what travellers want too'. Immersing yourself in the Australian outback can be an unforgettable experience – especially when you do it in luxury. A new lodge is about to offer some serious indulgence at Mount Mulligan Station, a 28,000-hectare (69,000-acre) working cattle station on the Atherton Tablelands, about a three-hour drive west of Cairns (you can also get there by helicopter if you want to arrive in style). It will offer opportunities for classic outback experiences such as mustering cattle and panning for gold, while providing six-star accommodation in an eight-room lodge that houses a maximum of 20 guests. With a pavilion overlooking an infinity pool and weir, the lodge sits in a classic Australian landscape dominated by Mount Mulligan's 18-kilometre (11-mile) sandstone ridge. This is Queensland's answer to the Kimberley's outback paradise, El Questro and it's going to be spectacular. Due to open in the second half of 2018. Thanks to an Aussie “room boom”, several exciting new hotels are due to open in 2018, from big to boutique. The hip luxury of W Hotels will return to Australia for the first time in a decade, with the opening of the $800 million W Brisbane in March. Melbourne is getting the 347-room Novotel Melbourne South Wharf (also in March) and the Novotel and ibis Melbourne Little Lonsdale Street (two hotels occupying one building in the city centre) in late 2018. On a more boutique scale, Sydney is saddling up for the William Inglis MGallery by Sofitel overlooking Warwick Farm racecourse (opening in January), and queueing up to sleep in the funky 29-room Paramount House Hotel, set to open in the café-cool inner city neighbourhood of Surry Hills (February). In late 2018, Hobart will welcome The Tasman, a Luxury Collection hotel by Marriott, which will take over heritage buildings located at Parliament Square. And it's all systems go in Perth, where 2018 openings include a QT (July) and a Westin (April) in the city centre, and a DoubleTree by Hilton (first half of 2018) in the inner city neighbourhood of Northbridge. Ever been to a restaurant and eaten green ants? What about mangrove seeds? Or kangaroo tendon with Tasmanian mountain pepper? Australia's native flavours have been gaining momentum for several years now, but the nod to Orana – recently awarded Australia's 2018 Restaurant of the Year – cements their place firmly in the national consciousness. Owner-chef Jock Zonfrillo visits Aboriginal communities in some of the most remote corners of the continent to find his ingredients; he's staked the restaurant's name on serving Australia's exquisite native flavours. If you're lucky enough to get a table here – there are just 11 – expect to eat 18 courses featuring 50 to 60 native ingredients. Orana also has a sister restaurant just downstairs, Bistro Blackwood, offering a similar approach to native ingredients, at a more accessible price point. There are many other restaurants showcasing Australia's unique produce: experience native flavours at Attica in Melbourne and Brae in rural Victoria, both of which were named among The World's 50 Best Restaurants for 2017. At Attica, chef Ben Shewry serves dishes such as whipped emu egg with quandong (a native fruit) and grilled marron (an Australian lobster) with desert lime. At Brae, chef Dan Hunter provides an extraordinary, ever-changing menu from local ingredients, many of which are grown on site on the Brae organic farm, or foraged from the local environment. Wukalina Walk isn't just another guided hike – it's a spiritual journey into Palawa (local Aboriginal culture). Launching in January 2018, the walk takes place over four days and three nights, crossing the stunning landscapes of north-east Tasmania (including the dramatic Bay of Fires, home to white beaches, orange boulders and clear waters) while gaining deep insights into local Aboriginal culture and enjoying world-class accommodation, food and wine. Guests get to meet elders, hear Palawa creation stories and take part in cultural practices that have been passed down over thousands of years. Accommodation is in bespoke Palawa-inspired huts and a renovated lighthouse keeper's cottage. The operation is Aboriginal owned and operated, with two guides leading a maximum of 10 guests. 5. Fly high on a day-trip with a differenceThere are places that look beautiful from the water, and places that look beautiful from the air, but some just have to be seen from both angles. Perth is one of them, which is why it's a great place to hop aboard a seaplane and get some stunning views of the city before heading off to one of three iconic West Australian destinations. Swan River Seaplanes started out in early in 2017 with a Margaret River Tour to taste fine wines in one of Australia's top wine regions and has recently added two more tours to its itinerary. The Pinnacles – Taste of WA tour offers a dramatic trip north to the Pinnacles Desert as well as a fresh crayfish lunch; while the Rottnest Day Tour calls in on nearby Rottnest Island, home to beautiful bays and famously photo-friendly marsupials known as quokkas. If one day just isn't enough, three and four-day Margaret River Retreats launched in December 2017, featuring luxury accommodation and gourmet food and wine. 6. See the stunning wilderness of Wilsons Prom from the waterWant to see wombats in the wild? It's well known that Wilsons Prom is the place to go. The southernmost tip of the Australian mainland, 'the Prom' (near Melbourne) is home to Wilsons Promontory National Park, offering 50,000 hectares (124,000 acres) of coastal beauty, wilderness, and a wealth of wildlife, all­ surprisingly close to Melbourne. Bushwalks – short and long – have been popular forever, but the idea of exploring Wilsons Prom from the water is just beginning to take off. Seals, dolphins, whales, birdlife and incredible rock formations are all here to admire, as well as great swimming spots. A new company, Refuge Cove Cruises, will be running one-day ecotourism tours of the Prom starting in January 2018, while long-time operator Wildlife Coast Cruises has recently introduced a new catamaran to the Prom. Tasmania-based ecotourism company Pennicott Wilderness Journeys will really up the ante from October 2018 when it introduces its 32-seat amphibious vessel that can drive straight from beach to water. Back on dry land, the area also has some stunning new accommodation including The Church House, a renovated 19th century church that now offers gourmet escapes in an idyllic location among rolling hills with views of the national park. 7. See the Reef like never beforeLizard Island Resort, an exclusive private island retreat on the Great Barrier Reef with almost as many private beaches (24) as villas (40), is now offering guests a unique perspective on the reef. Reef Expedition is a unique, multi-day guided tour of the reef led by scientists from the Australian Museum which also runs a research station on the island. See parts of the reef that are normally off-limits, with guided snorkelling and dives, and unparalleled insights into one the natural wonders of the world. Four nights' accommodation is included and groups are limited to 12. That's not the only memorable experience now on offer at the reef – a new scenic flight offers a lucky few the chance to land on an isolated isle sand, Wheeler Cay, in the middle of the ocean, while guests at exclusive island resort qualia, located in the Whitsunday islands, can now charter a Palm Beach Motor Yacht to explore the Great Barrier Reef. The resort vessel is the only Palm Beach Motor Yacht available for commercial use worldwide, although “bareboating” around the Whitsundays – where anyone can hire their choice of sailing vessel for an aquatic holiday around the islands – remains a popular pursuit. Also nearby is the Reef Sleep pontoon, where each night, a lucky few get the chance to sleep under the stars, 39 nautical miles from shore on the Great Barrier Reef. The Halo tiara that Kate Middleton wore at her wedding to Prince William, Elizabeth Taylor's diamond and ruby necklace, and Princess Grace of Monaco's 10.48-carat diamond engagement ring are among the items on display as Cartier: The Exhibition brings some serious bling to the National Gallery of Australia (NGA) in Canberra. More than 300 items loaned from royal families, celebrities and the Cartier Collection will form the biggest collection of diamonds, emeralds and precious stones ever seen in Australia. The exhibition, which is exclusive to the NGA, runs from 30 March to 22 July 2018. Other NGA highlights in 2018 include American Masters 1940-1980, which displays together for the first time the greatest American works from the gallery's globally renowned selection (24 August-11 November 2018); and Picasso: The Vollard Suite, comprising 100 prints by Pablo Picasso (9 June-24 September 2018). The National Gallery is far from the only reason to call in on Canberra next year. Lonely Planet has named it No.3 in its top 10 list of cities to visit worldwide in 2018. While you're there, make sure you check out Bar Rochford, the Gourmet Traveller 2018 Bar of the Year. Uluru may be ancient, and a hugely important spiritual site for the world's oldest culture, but there are plenty of modern experiences on offer in the area. A new fine dining experience, Mayu Wiru (meaning “beautiful flavour” in the local Aboriginal Pitjantjatjara language) offers exquisite food featuring local ingredients, followed by a nightcap on a sand dune and a guided tour of the stunning Field of Light Uluru art installation, which is not only recommended by none-other than Chris Hemsworth, but has proved so popular that its run has been extended until the end of March 2018. 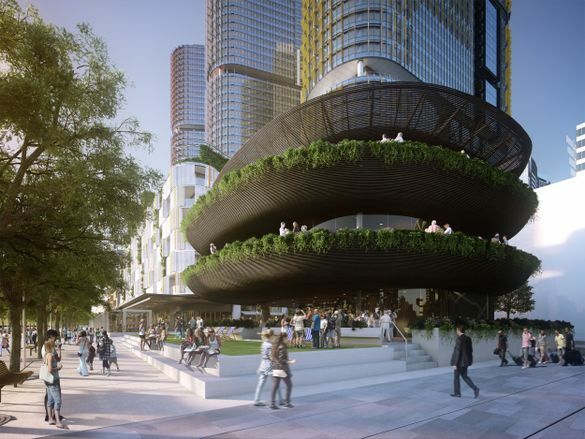 The new, multi-billion-dollar Barangaroo waterfront precinct in downtown Sydney continues to evolve, with the latest round of openings including flagship restaurant Barangaroo House. Sydney restaurateur Matt Moran's three-storey playground which opened in December 2017 includes a ground-floor bar and eatery, first-floor restaurant and a rooftop terrace bar overlooking Darling Harbour, with menus from innovative head chef Cory Campbell (formerly of Noma in Copenhagen and Vue de Monde in Melbourne). It will join an array of acclaimed eateries such as Banksii (the name is a nod to venerable British botanist Sir Joseph Banks, who studied many native Australian plant species during Britain's initial explorations of the continent – Australian flora is heavily incorporated into the Mediterranean-inspired dishes). On the other side of Darling Harbour, the area's extreme makeover continues with the addition of the Sofitel Sydney Darling Harbour, a 590-room luxury hotel with an infinity pool offering city views and a champagne bar. Between the two is the Hyatt Regency Sydney – which opened late 2016 – and the site of the upcoming W Sydney, slated to open in 2019 as part of the boundary-pushing development, The Ribbon. The beachside city of Albany (just south of the Margaret River region) was the last sighting of Australia for many of the 41,000 men and women who set sail from here, for World War I. Home to one of the nation's most important cultural pilgrimages – the award-winning museum and war memorial, the National Anzac Centre – the city is set to shine even brighter in 2018, with a stunning light installation by renowned English artist Bruce Munro. Field of Light: Avenue of Honour will form part of Albany's commemoration of the 100th anniversary of the end of the first World War this year, and will feature more than 13,000 illuminated glass spheres, representing the national flowers of Australia and New Zealand. Mr Munro's most recent commission Field of Light at Uluru has attracted more than 120,000 visitors since opening in April 2016 whilst Field of Light: Avenue of Honour is expected to attract more than 28,500 attendees. The work will be installed in Albany Heritage Park and the Desert Mounted Corps Memorial, from October 2018 through to April 2019. The Katrina Dawson Foundation & Huma Charity Challenge have launched a guided walk along the Larapinta Trail in Central Australia to raise awareness of and funds for the foundation established in honour of the late Katrina Dawson. The Katrina Dawson Foundation was established in December 2014 by Katrina's family and former Governor General of Australia, The Honourable Dame Quentin Bryce AD, CVO, to honour Katrina's memory, after she was tragically taken from her family, friends and the community in Sydney's Lindt Cafe Siege. "The Katrina Dawson Foundation Challenge, Larapinta with Edwina Parsons" will take place from 8-12 May 2018. Participants who sign up for the five-day challenge in Central Australia have two challenges ahead of them: to raise a minimum $1000 for The Katrina Dawson Foundation and to complete the Larapinta Trail Challenge. The trip costs $1835 per person (departing from Alice Springs) plus a $200 non-refundable registration fee. Katrina's brother and Foundation Board Director, Sandy Dawson believes the charity challenge is a wonderful way to combine an exhilarating adventure with raising funds the Foundation. "By signing up for the Larapinta Challenge and supporting The Katrina Dawson Foundation, participants will help us to give young Australian women the opportunity to contribute to our community in the same way that Katrina did, and would have continued to do so," Mr Dawson said. Katrina loved a challenge and being active, and she would have loved this trek. "I am so delighted that our long-time family friend, Edwina Parsons, will lead this trek along the iconic Larapinta Trail, which is considered on of the top 10 walks in the world. "The expansive, rugged and mesmerising West MacDonnell ranges dominate this spectacular trail and the majesty of this landscape and provides an ideal setting to honour the memory of Katrina," Mr Dawson said. 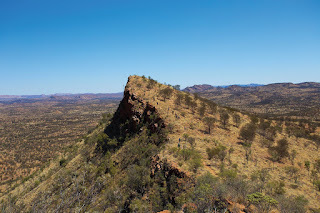 Trekking at the start of the season in April and May can be one of the best times to experience the Larapinta Trail. Trekking conditions in autumn are pleasant, with temperatures averaging between 12-27C. Coming out of the wet season, the West MacDonnell Ranges transforms for a short period into a vibrant green landscape, with bursts of colour from early season flowers like the Mulla Mulla and Senna bush. With new growth across the region, mornings are particularly beautiful as the sun glistens through the trees in the early hours of the day. For more information and to register: www.humacharitychallenge.com or phone 1300 720 000. 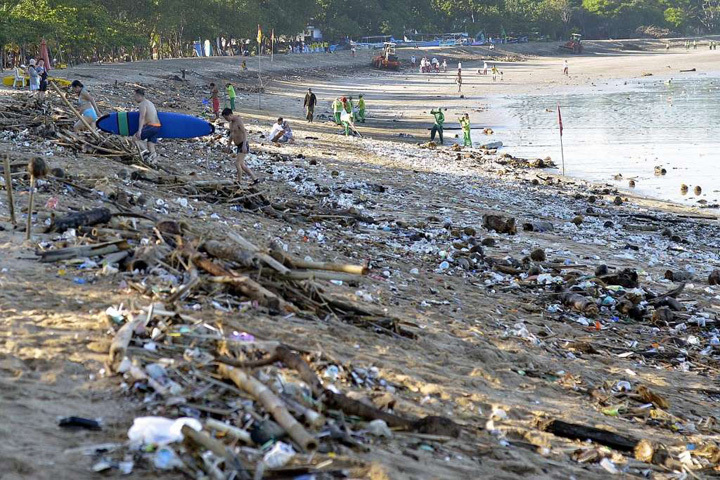 It's trash season in Bali again. As if there wasn't enough trash clogging the beaches of Bali and Indonesia without the regular monsoon plastic deluge. Australia's Botanica World Discoveries Tours celebrate the release of its new 2018/19 brochure, which showcases more than 40 garden-themed cruises and tours across six continents, with a host of special airfare deals and savings. A range of discounted business class airfares, flight credits, and companion fly free offers are available to guests who book selected tours or cruises early. There are also some incredible savings to be made by combining two or more Botanica tours. New for 2018/19, Botanica will delve deep into the tropical gardens of Sri Lanka, as well as returning to the botanical paradises of South America and South Africa. An extended program in Europe will include a grand train journey on the Golden Eagle Danube Express from Budapest to Venice, and an exclusively chartered river cruise along the Rhine and Moselle rivers will explore castle gardens in this fairy-tale landscape. As always, the world's most famous flower and garden shows play a starring role in Botanica, with trips designed around visits to London's RHS Chelsea Flower Show, Hampton Court Palace Flower Show, BBC Gardener's World Live in Birmingham and Dublin in Bloom. Closer to home, Botanica guests can visit the Singapore Garden Festival, the Melbourne Flower & Garden Show, Queensland Garden Expo, Floriade in Canberra, the Toowoomba Carnival of Flowers and in New Zealand, the Taranaki Garden Spectacular. Botanica's boutique cruises and tours are designed to interest gardeners and non-gardeners alike. Travelling with a small-sized group of like-minded people, Botanica holidays are enriched with handpicked cultural experiences that incorporate themes such as history, art and music, as well as general sightseeing. Accompanied by a knowledgeable Botanical Guide, guests will visit some of the world's most celebrated gardens such as Sissinghurst in England, the Butchart Gardens in Canada, Villandry in France, as well as exclusive private gardens. Well-known international gardener and TV presenter, Monty Don, is a regular guest-lecturer, as is Rosemary Alexander, the founder of the English Gardening School and regular judge at the Chelsea Flower Show. The team of Botanical Guides includes well-respected gardening historian, Dr Toby Musgrave, and popular Australian celebrity gardener, Simon Rickard. It's no wonder that more than 70 per cent of Botanic guests are repeat travellers and proud members of the Botanica Club. Once you travel with Botanica you automatically become a member of the club (which also has reciprocal rights with APT and Travelmarvel clubs), and will receive benefits, discounts and offers on your next Botanica adventure. The spotlight is set to shine on London's West End as the iconic location takes on a new light as part of the UKs largest light festival Lumiere London, produced by Artichoke and supported by Mayor of London. 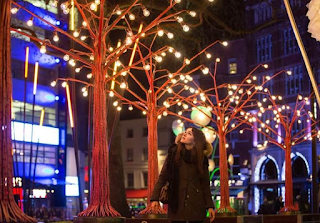 Over four free nights from 18th-21st January, the UKs most visited destination, which boasts some of the world's best hotels, restaurants, bars, theatres, art galleries and shopping experiences – will take centre stage at this spectacular light festival. More than 16 UK and international artists will transform some of the most iconic and celebrated landmarks, streets and location across London's West including Carnaby, Chinatown London, Leicester Square, Mayfair, Oxford Circus, Piccadilly, Piccadilly Circus, Regent Street St James's, Seven Dials, Covent Garden and St James's Market, into a vast outdoor exhibition space, offering audiences new and surprising perspectives on the world famous streets and iconic landmarks. As well as getting the opportunity to witness some of the area's most historic landmarks in a dazzling new light, visitors and Londoners will be able to sample a host of other incredible activities taking place in the area throughout January – so why not make a weekend of it this January and enjoy the unlimited opportunities for discovery across London's West End. Scoot, Asia/Pacific's Best Low Cost Airline for four consecutive years and the low-cost arm of Singapore Airlines (SIA), has launched ticket sales to its highly anticipated third long-haul destination of Berlin, Germany! The non-stop Singapore-Berlin flights are scheduled to commence on 20th June 2018 and promotional FLY fares from Australia start at a tiny $379 (ex Perth) one way, including taxes. (Bags and food extra) or $1199 in ScootBiz one way (including taxes). Fares on sale are for travel from 20 June to 26 October 2018. For an additional $30 off selected FLYBAG and FLYBAGEAT fares, key in the promo code 'GOBERLIN'. Berlin will be the SIA Group's fourth destination in Germany, after Düsseldorf, Frankfurt and Munich, which are operated by SIA. The four-times-weekly Singapore-Berlin return flights will be operated with widebody, twin-aisle Boeing 787 Dreamliners, subject to regulatory approval. "The new Scoot route to Berlin is fantastic news for Germany. 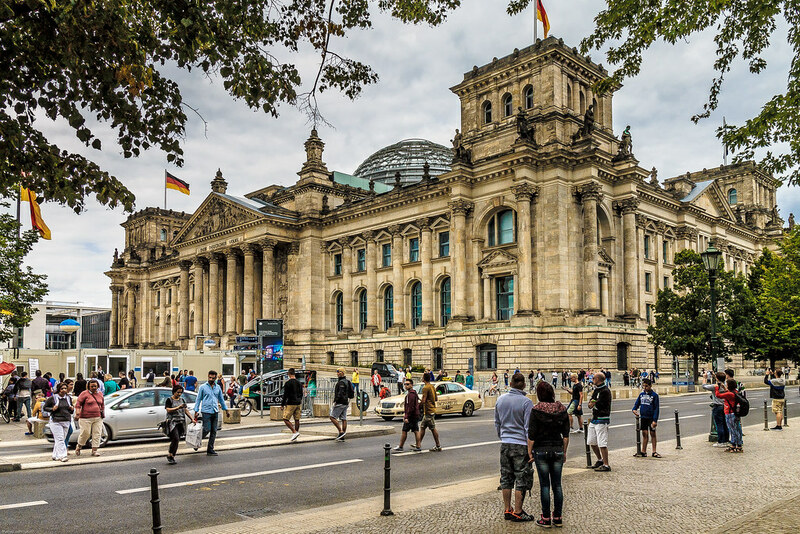 It opens up many new opportunities for Australian visitors and, with additional flights, travellers can easily explore the capital Berlin and nearby cities such as Dresden, Leipzig and Hamburg. Berlin is a happening city packed with exciting events, concerts, exhibition and shows all year round. Germany's focus for 2018 is "Culinary Germany" which aims to introduce travellers to the country's gourmet highlights such as the popular Currywurst in Berlin or the many Michelin starred restaurants in the capital," according to Stefanie Eberhard, Director of the German National Tourist Office in Sydney. The 787 Dreamliner is spacious and boasts state of the art innovations that provide a more comfortable travel experience, such as improved humidity and cabin pressurization, large dimmable windows, 20% less noise and ample overhead compartment space. Scoot's 787 Dreamliners also offer several amenities and services suited to long-haul travel, such as inflight Wi-Fi, in-seat power and inflight ScooTV entertainment streamed to guests' own devices. Guests can choose from a full-leather ScootBiz seat with 38" pitch, 30kg checked-in baggage, and meals and drinks included, or enjoy a peaceful journey in the ScootinSilence economy class quiet zone with seat pitches ranging from 31" up to 35". Mr Lee Lik Hsin, Scoot's Chief Executive Officer, said, "Scoot's low-cost long-haul business model has finally taken off in the last six months with our flights to Athens and Honolulu. Both have lived up to our expectations and our guests tell us that the 787 Dreamliner has been key to convincing them to travel long-haul on low-cost. With Berlin, we continue on our mission to bring more choices for great value long-haul, low-cost travel to more travellers so they can escape the ordinary!" Scoot's current route network comprises 63 destinations across 17 countries, with flights to Kuantan commencing in February 2018. Scoot operates a fleet of 16 Boeing 787 Dreamliners and 24 Airbus A320 family aircraft, with four more Boeing 787 Dreamliners and 39 Airbus A320neo aircraft on order. VIC and SA revealed London as their most popular international holiday. Residents from NSW, QLD and TAS favoured neighbouring country New Zealand with Auckland, Christchurch and Queenstown all featuring amongst their states’ ten most booked destination. In domestic travel, Queenslanders preferred the comfort of their own backyards, with eight out of the top ten domestic travel choices kept within the state. South Australians prefer the company of their neighbouring states when it comes to domestic travel. Booking.com, global leader in connecting travellers with the widest choice of incredible places to stay, has today revealed Australia's top booked destinations both domestically and internationally in 2017. 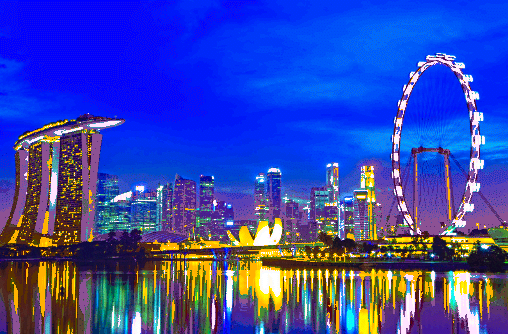 Based on international bookings from Australian travellers, Asian locations feature in six of the top ten top booked destinations, with Singapore holding the number one spot as many flock to the city for its renowned culture and shopping while it also remains a leading gateway to Europe. Victoria and South Australia are the only states where their most popular international destination of choice falls outside Asia-Pacific with London being each state's most popular top booked destination. England's capital also ranks as the second most popular international destination for Aussies overall. Bali remains a popular choice for Aussie holidaymakers, picking up two spots in the international top ten list, proving particularly popular with Western Australians and Northern Territory residents. Meanwhile, New South Wales, Queensland and Tasmanian travellers are particularly in favour of visiting their Antipodean neighbours in New Zealand with Auckland, Christchurch and Queenstown all featuring amongst their states' ten most popular choices for international travel. For domestic travel, Queenslanders prefer to explore their own backyards more than any other state, with eight out of their top ten domestic travel choices, kept within the state as travellers seek to explore gems close to home. At the other end of the spectrum, South Australians are deserting their state more than any other, with only two South Australian locations ranking in the top ten most booked domestic destinations by the state's travellers. Luke Wilson, Booking.com Area Manager for Australia said: "2017 was another big year for travel for Australians both in and outside the country. 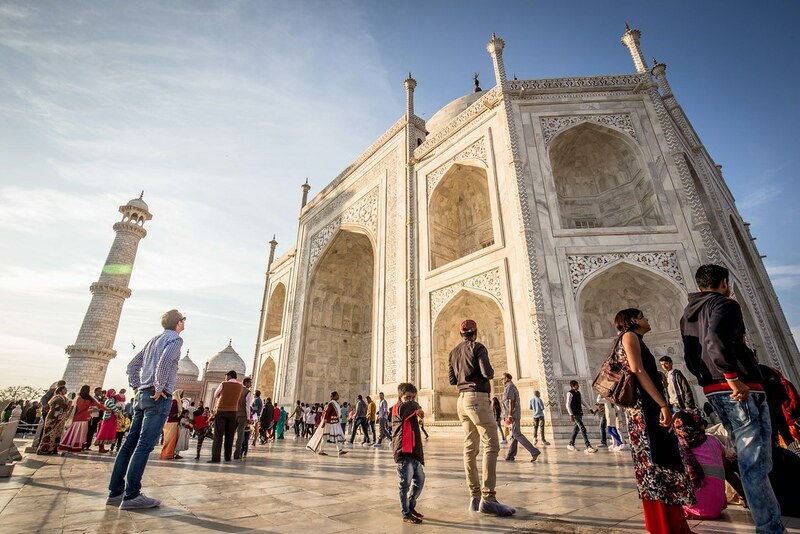 Asia's diverse tourism options represent increasingly attractive propositions for international travellers while London remains the top European destination for many, which may continue in 2018, especially with the first direct flight routes from Perth slated to start later this year. "Aussies are also exploring more of what is on their doorstep and the rise of holiday rental properties has made it easier and more convenient for them to enjoy a weekend staycation or short road trips away. Recent research has also revealed Brisbane as an emerging travel destination in 2018, so we look forward to seeing the impact this has in bookings this year."